Axial inductor by J.W. Miller is rated 10uH at 4Amp. 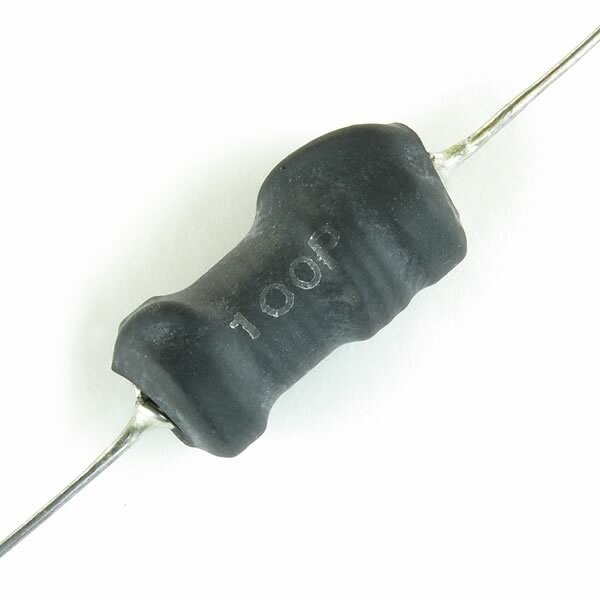 Type 5900-100P has ferrite core and is covered with black heat shrink tubing. Size 0.90" x 0.45" diameter. Full axial leads. Retails for $1.69 each. Sold in a package of 4.